After getting back from Disney World earlier this month, I was in such a christmas-y mood! I love Christmas but after seeing all the decks in Magic Kingdom, I feel like I've gone full force Christmas mode so when I had a spare day at home, before heading back to university, I asked my mum whether she would want to go and see the new Disney live action film, The Nutcracker and the Four Realms. Luckily she said yes and so off we went to go see this years Christmas film! IMDb Story Description: All Clara wants is a key - a one-of-a-kind key that will unlock a box with a priceless gift from her late mother. A golden thread, presented to her at godfather Drosselmeyer's annual holiday party, leads her to the coveted key-which promptly disappears into a strange and mysterious parallel world. 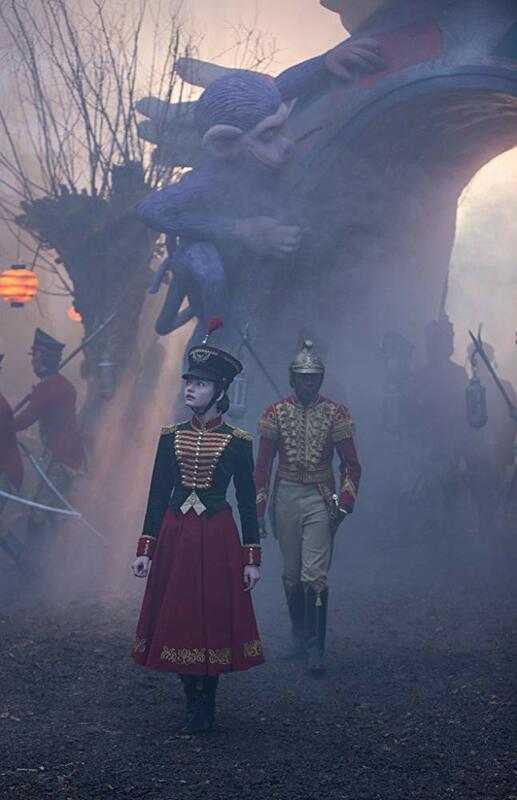 It's there that Clara encounters a soldier named Philip, a gang of mice and the regents who preside over three Realms: Land of Snowflakes, Land of Flowers and Land of Sweets. Clara and Philip must brave the ominous Fourth Realm, home to the tyrant Mother Ginger, to retrieve Clara's key and hopefully return harmony to the unstable world. My first official thoughts on this films is how stunning it was. Disney out did themselves again when it came to the detail in the scenes and story. The whole theme gives you such a Christmas vibe (I mean it is set on Christmas Eve) with all the snow and glowing warm lights. 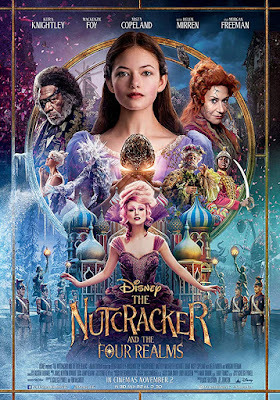 I have always been a fan of The Nutcracker and I adore the story as it's such a perfect and magical story for Christmas time. Unfortunately, I have never seen the actual ballet to this but one day I would love to watch this during the Christmas holidays as I'm sure I will fall in love with it. What I loved about this film is how true it is to the story, yes there are change but there are so many refrences back to the original story, whether that's through the original music being played throughout the film, the story line or the characters. 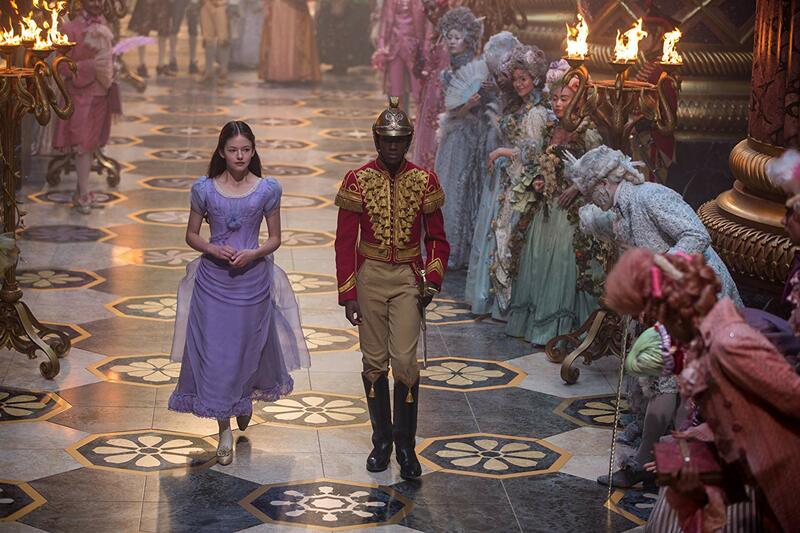 They also included ballet in the film which I thought was a pretty touch and I'm glad they chose to do this; making sure the film stays as true to the original story and ballet as possible. Some how Disney took an already magical story and made it even more magical as well as adding their own twists in the story line which I also really enjoyed! As it made the story a little darker than the original and I'm a big fan of fairy tales with a dark twist! Mackenzie Foy did a brilliant job playing Clara (the protagonist) throughout the film and I would have definitely casted her myself if given the job to find someone to play Clara. The last film I saw her in was Breakingdawn! Foy played Renesmee and I don't think we got see all of her acting abilities in the role but as Clara she excelled and was a very lovable character. 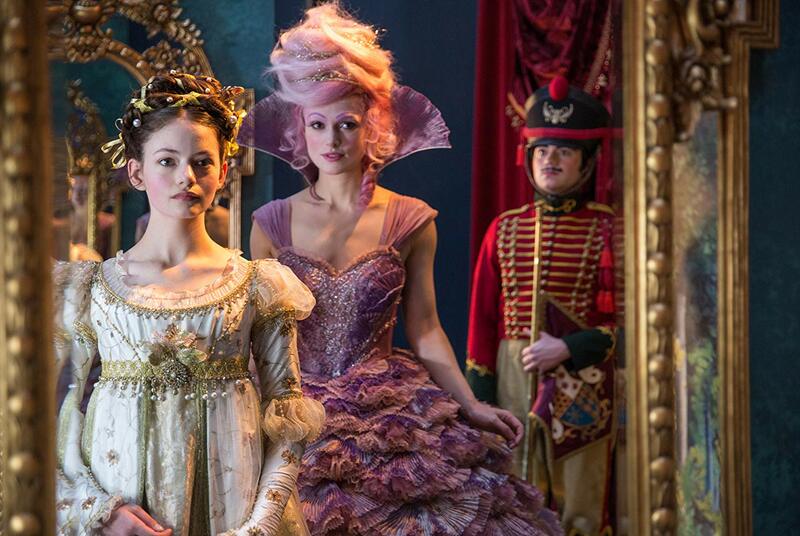 Another character I loved throughout the film was the Nutcracker or also known as Philip! Played by Jayden Fowora-Knight, Philip is a really sweet and lovable character. He's the first person, Clara meets when entering the four realms and he stays by her side throughout the film and what I also love is the friendship Philip and Clara grow between them. They by far are my favourite characters throughout the whole film. This film definitely took me by surprise and I enjoyed it far more than I thought I would. It's cinematic presences and scenery is definitely what won me over, as well as the gorgeous music and ballet themes throughout the film. It's not the most amazing film in the world but it gets you into that perfect Christmas feeling and it makes me want to see the ballet so badly! Have you seen this film? What are your thoughts on it? Or are you giving this film a miss? I loved this movie visually but also I wish they went more into how her mother ended up there and who her mother was... I feel like the story itself could had been expanded on more. When I found out Mackenzie Foy was starring in this, I'm not sure why but she definitely drew me into wanting to watch this film. I haven't seen her outside of Twilight but there's something unique about this girl that makes me want to catch more of her acting! I haven't watched it yet but it's most definitely on my list this Christmas season!